Since it’s launching in 2009, Just Play was basically focusing in communities and football clubs with minimum opportunities to visit schools. But the Ministry of Education has accepted new strategies for young children to be more involved in physical and sport lessons by putting up a one hour Movement & Fitness class and also allow various Sport organisations, including Football to visit every primary school. 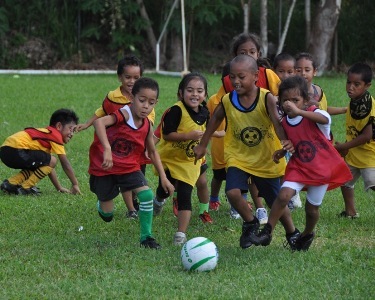 Tonga Football Association’s Social Responsibility Officer, Pau Likiliki thinks it’s a blessing for Football and for Just Play. “The new arrangement will pave ways for us to broaden our capability of teaching Just Play, which fall in hand with the whole idea of the Movement & Fitness class and we are happy with the progress.” he said. “It’s a blessing because we usually approach the Schools individually and see if they accept to adopt our programs as part of their school programs and sometimes we are hold off but now its compulsory and it is a huge advantage.” Likiliki added. The new Movement & Fitness period will be staged from 2 to 3pm on Wednesdays, Thursdays and Fridays, starting on April 18 and last until August 24. 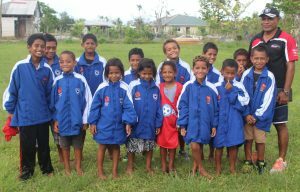 A total of 49 schools around Tongatapu will practice Just Play during the time, where they will learn activities that leads to healthy lives while playing the game of Football. Likiliki said it is a challenge but also a huge advantage. “We have been dreaming of such an opportunity and now we have it so it’s our responsibility now to be prepared. We will start this program as a follow up to what we have so far and the kids from active Just Play villages will benefit more”. he said. The school visit will start with the Primary School of Fasi moe Afi and will round up at Ha’amonga Primary School.